The MILANO chandelier features a sleek chrome finish. This contemporary piece includes a white fabric barrel shade matched with a frosted glass diffuser that is perfect for your living and dining room. 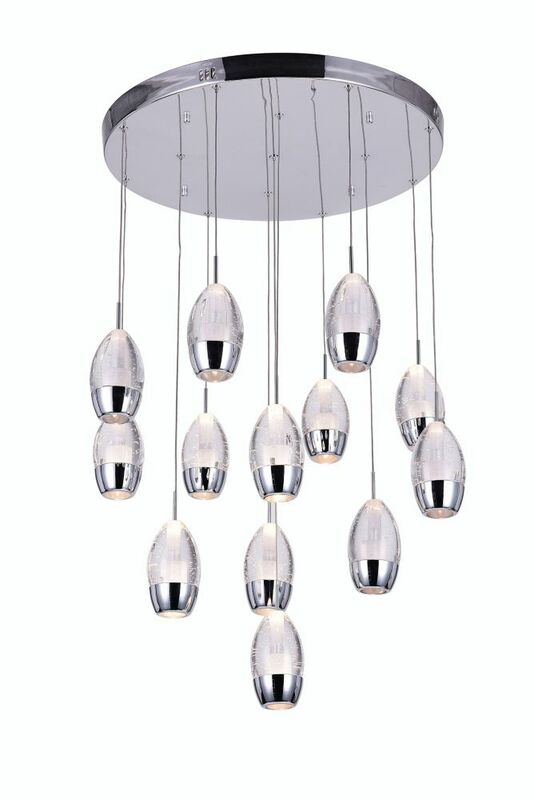 The PIERA chandelier features a sleek chrome finish. The unique patterns on the shade is both contemporary and decorative. Crystal jewels drape this fixture reflecting light in every angle. Perfect for the foyer, dining and living room. Introducing the Fonte Collection. Polished chrome with faceted crystal beading. Add this chandelier as a centrepiece to your home or office.